Enjoy a delectable collection of premium dried fruit, perfect for the health-conscious snacker. 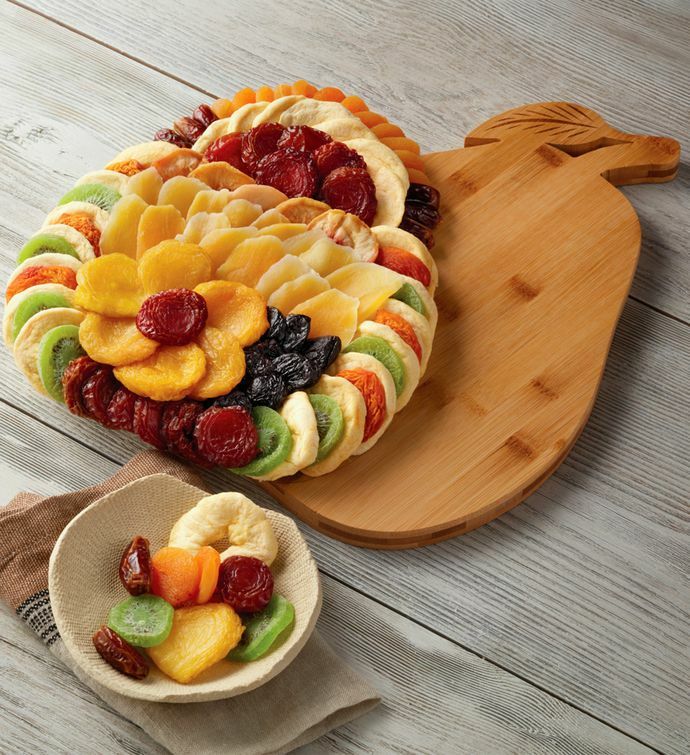 Included in this generous assortment are delicious dried pears, peaches, apricots, mangoes, kiwi, and more. It all arrives artfully arranged atop a pear-shaped bamboo cutting board, which can be reused long after the flavorful fruit has all been enjoyed.